Terminator Kit includes six each of the superior Cushion Cartridges, Cannon Terminators and Snap Swivels. 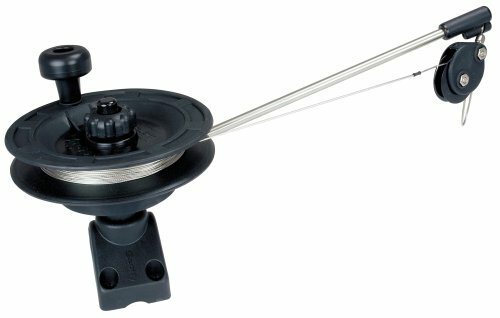 Scotty #371 Downrigger Weight Snubber with Trolling Snap is placed between your downrigger terminal end and your weight. The Scotty Trolling Snubber absorbs shock, provides electrical insulation and helps prevent snags. Rolling Snubber with Sampo trolling snap only. We have total commitment to quality, and unmatched service. That means our customers everywhere can expect reliability and satisfaction from every product that carries the Scotty name. With Scotty you will find the right Downrigger, Mounting System and Accessories to suit your fishing, boating, canoe, kayaking and stand up paddle board needs. Trolling Snubber with trolling snap only. Gives full 360 degree rotation with 16 locking positions, quick fastening stainless steel mounting knobs for easy set-up and removal. Larger Lock Button.Features:- Fits all Scotty downriggers- 360 Degree rotation- 16 Locking positions- Dimensions : 5 1/2" x 5 1/2" x 4"- Bolting Dimensions: 4 1/2" x 3 1/2"
Specially designed to fit any style downrigger weight, these holders are perfect for stopping your weights from rolling around inside your boat and great at protecting them from damage. They won t scratch or dent your weights, and they come in two colors (Black and White). Each set included two Downrigger Weight Holders. Scotty #370 Trolling Snubber with SAMPO ball bearing Swivel attaches between your downrigger terminal end and your weight. The Scotty Trolling Snubber absorbs shock provides electrical insulation and helps prevent snagging. Easy to grip. Place between your downrigger cable and weight. The Scotty Trolling Snubber absorbs shock, provides electrical insulation and helps prevent snags. Easy to grip. 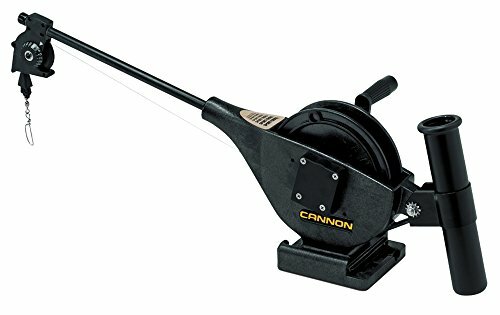 Allows quick connection to your downrigger cannon ball. Essential for use of braided line. The Hal-Lock outrigger pulley was specially designed for speed and efficiency. Simply pull the locking lever back and the halyard is pushed into the softer urethane insert locking the halyard in place. That Easy! That Fast! 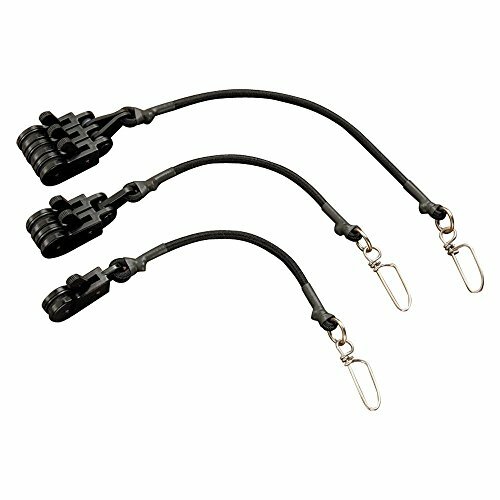 And because of Hal-locks unique ability to lock, very little tension is required on the shock cord, allowing you to get your clip up and back down with less effort. Finally, you don't have to rig up a configuration using rubber bands, wire and swivels. These components are both unsafe and ineffective. Just leave it to Hal-Lock and the job is much more safe efficient and easy. Patented technology allowing you to lock your halyard in place quickly with one hand means no more leaning over the rail to undo wire or rubber bands. No resetting your spread keeps you focused on finding that trophy. No more leaning over the rail with both hands to secure halyards with wire or rubber bands. The simple one handed operation of the Hal-Lock keeps you firmly planted on the deck and fishing a consistent spread. No resetting your spread keeps you focused on finding that trophy. This gorgeous Scotty Laketroller post mount manual downrigger has the finest details and highest quality you will find anywhere! Scotty Laketroller post mount manual downrigger is truly remarkable. 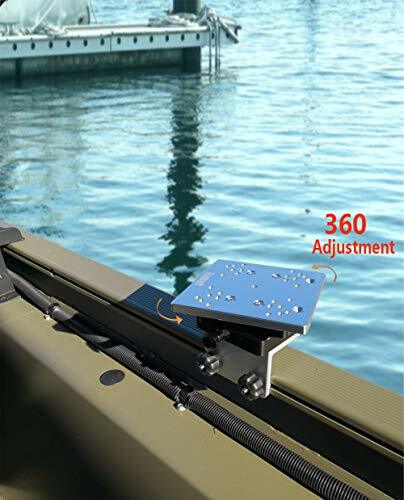 Product details: condition: brand new item SKU: ss-sms-620731 information: Scotty 1073DP Laketroller post mount manual downrigger has a mounting bracket that permits mounting on a flat deck surface or on the side of a gunnel or transom. The mounting design gives 360 degree rotation. Comes with a 241 side/deck mount. One foot per turn spool. Includes Mini power grip plus line release. 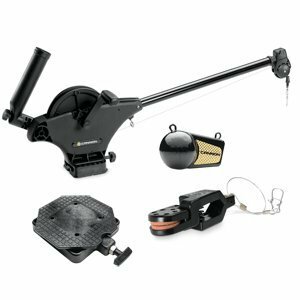 Scotty #1116 Propack Depthpower Electric Downriggers is fully automatic hands-free operation on retrieval. This Propack Depthpower Downrigger is the top choice of charter captains. This unit gives the versatility of a telescoping boom with the Dual Rod Holder option and Swivel Pedestal Mount. Fully adjustable rod holders. Strong stainless-steel boom. More lifting power than any downrigger made. Power for extra heavy weights or for pulling out of snags, weeds or kelp. The lowest amp draw of any downrigger made. Less than one third the battery draw than some of the competition. Fully adjustable descent speed - 5 ft./min to over 300 ft./min. Ultra-fast retrieval rate. Spray-protected, positive-drive depth counter. Kevlar Belt driven. 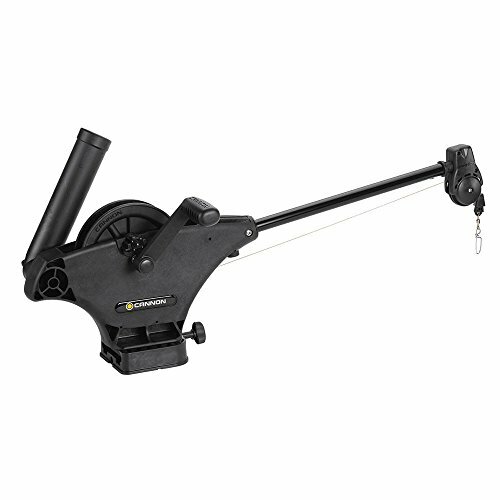 Scotty #1106 Depthpower Electric Downrigger has a 60-inch boom with rod holder. This is our most popular Scotty Electric Downrigger, with a boom that telescopes for extra reach and collapses for storage. Makes for a great big boat downrigger. Scotty Depthpower Electric Downriggers have reached the highest performance and reliability standards ever, while remaining competitively priced. Thousands of fishermen now enjoy the superior speed, power and years of reliability that only Scotty offers. From custom designed marine motors to the final quality control tests, Scotty performance is unmatched in the industry. Each Scotty Downrigger comes with a Limited Lifetime Warranty. Fully adjustable release clips. 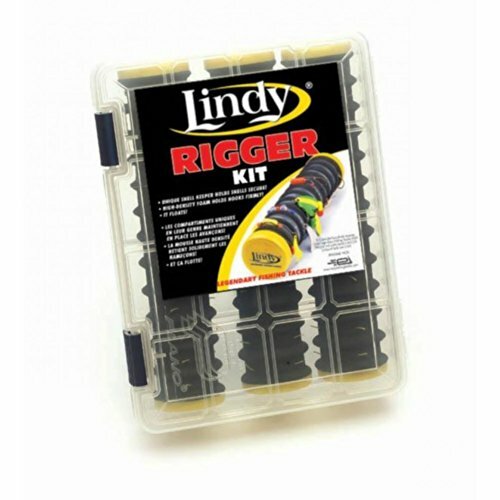 Great for out riggers, kits, and down riggers. Cannon Manual Downriggers -- More control at every turn. Take command of controlled depth fishing when you equip your boat with a Cannon manual downrigger. Perfect for smaller boats, each one allows for quick line retrieval and precise bait positioning. 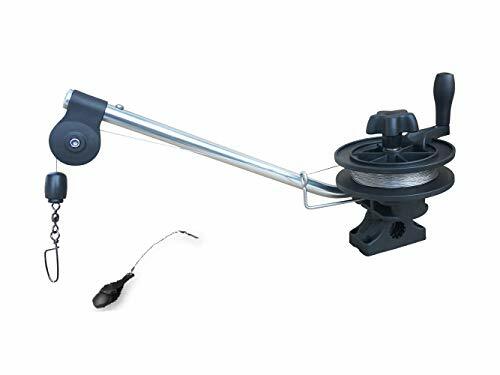 Ideal for smaller boats and fishermen just beginning to realize the advantage of fishing a downrigger, the durable Cannon Lake Troll manual downrigger uses a clutch/brake for controlled, safe descent without cranking. 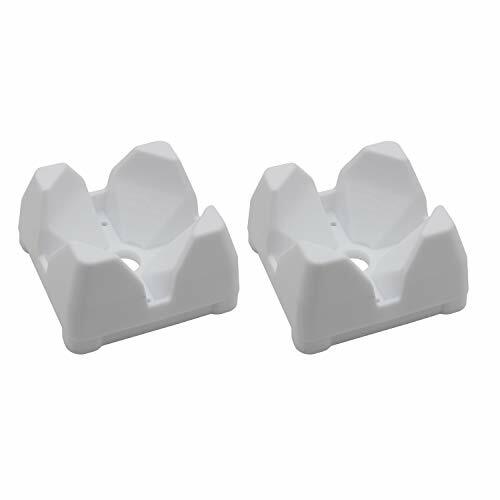 It features a durable copolymer boom and a convenient line release mounted on a tab-lock base. Backed by a limited lifetime warranty. 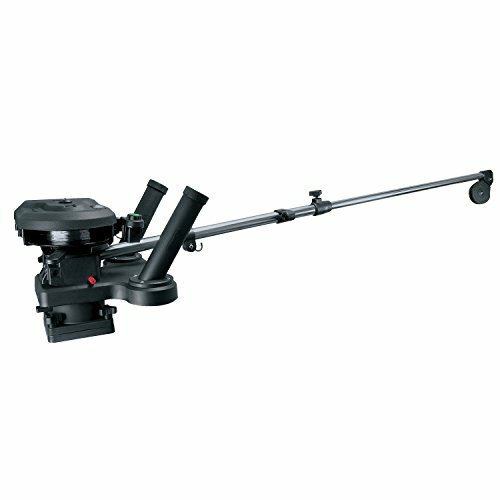 Scotty #1085 Strongarm Manual Downrigger with rod holder, 30" long-1.25" stainless steel Boom, 2' per turn spool, automatic brake. Includes #1023 Tilt-up Mount Bracket which enables the unit to be titled and locked in the upright position, extension handle, and 200ft. of 150-pound test stainless steel downrigger cable. Scotty manufactures products that are sold into the fishing, marine, and outdoor industries worldwide. We have all the gear from Pot Pullers, manual and electric Downriggers, Rod Holders, Oar Locks, Fishfinder, Rod, and Float Tube Mounts, to Safety Equipment for your boat, kayak, and stand up paddle board. When it comes to on the water safety, Scotty has got you covered! Scotty safety equipment ranges from rescue throw bags, whistles, flashlights, and sea-lights. We have total commitment to quality, and unmatched service. That means our customers everywhere can expect reliability and satisfaction from every product that carries the Scotty name. 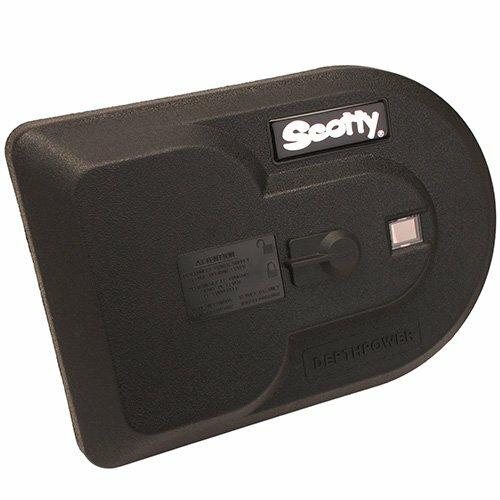 With Scotty you will find the right Downrigger, Mounting System and Accessories to suit your fishing, boating, canoe, kayaking and stand up paddle board needs. - Anti-fouling design, tangle-free performance. - Made of high quality material for use on any test line in saltwater or freshwater. - Special tension adjuster allows preceise light tackle setting. - The clip simply threads on the downrigger or kite line and held in position with a crimped sleeve, split shot, barrel swivel, or even a simple knot in the line. - Used for everything from kites to outriggers and downrigger etc. Made of high quality material for use on any test line in saltwater or freshwater. Special tension adjuster allows preceise light tackle setting. The clip simply threads on the downrigger or kite line and held in position with a crimped sleeve, split shot, barrel swivel, or even a simple knot in the line. - Adjustable line heavy tension release corrosion resistant clip. 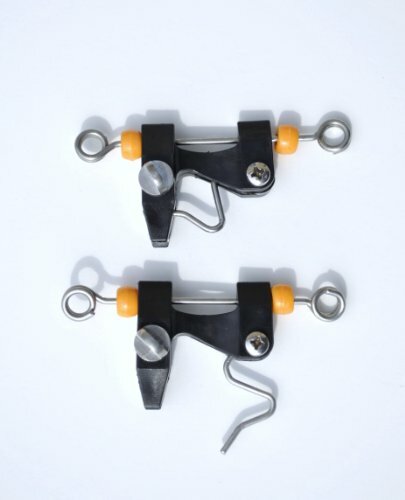 - Used for quick release for outriggers and downriggers. - Streamlined design will not snag on weeds or foul lines. 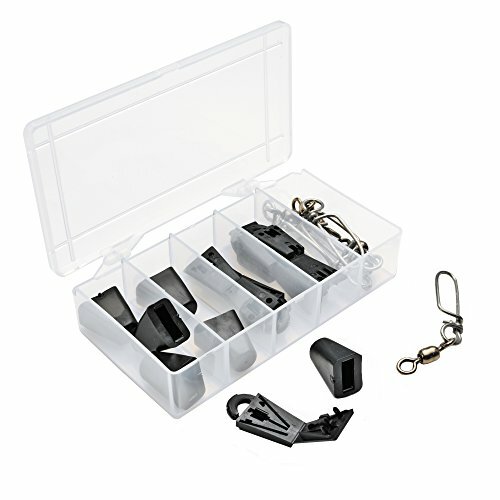 - Padded release clips great for boat, kite and planer boards fishing. 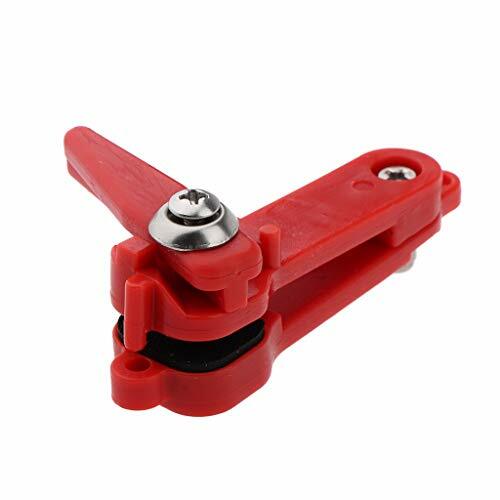 Adjustable line heavy tension release corrosion resistant clip. 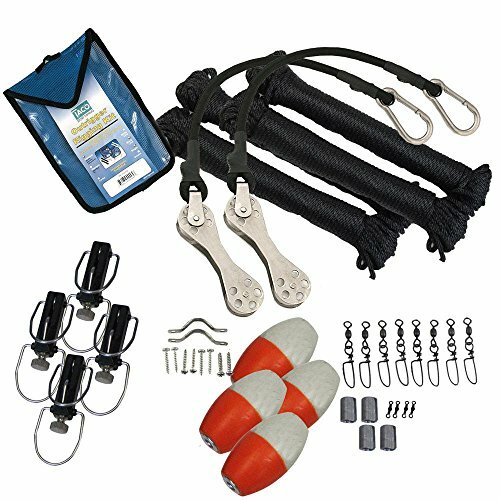 Used for quick release for outriggers and downriggers. Streamlined design will not snag on weeds or foul lines. 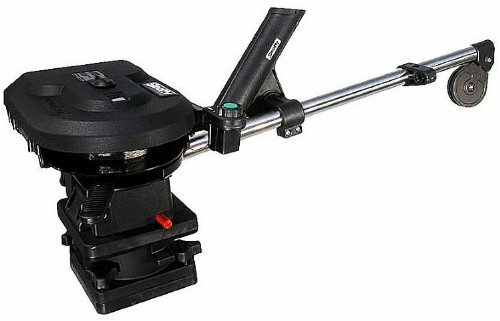 Swivel Mounting Base,Rotates 360 degree ,Locks in 16 positions . 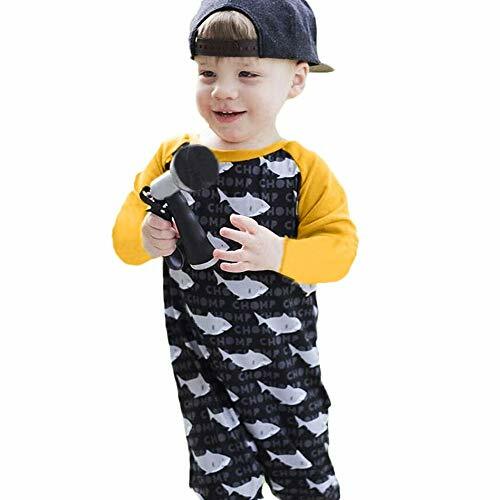 Size Chart: Recommended Age:6Months ---Label Size:70 ---Bust:48CM/18.9'' ---Sleeve length:45CM/17.7'' ---Height:65-70CM Recommended Age:12Months ---Label Size:80 ---Bust:50CM/19.7'' ---Sleeve length:48CM/18.9'' ---Height:75-80CM Recommended Age:18Months ---Label Size:90 ---Bust:52CM/20.5'' ---Sleeve length:50CM/19.7'' ---Height:85-90CM Recommended Age:24Months ---Label Size:100 ---Bust:54CM/21.3'' ---Sleeve length:53CM/20.9'' ---Height:95-100CM Toddler Infants Baby Boys Girl Cartoon Shark Print Romper Costume Jumpsuit Attention plz: If your kid is chubby, we recomend choosing a larger size, thanks. Features: 1.It is made of high quality materials,Soft hand feeling, no any harm to your baby's skin 2.Stylish and fashion design make your baby more attractive 3.Great for casual, Daily, party or photoshoot, also a great idea for a baby show gifts 4.It's time to get your sparkle monster in on the Halloween holiday festivities baby onesie,There's no doubt in our mind your little baby will be the cutest to of them all. Product information: Gender:Girls&Boys Material:Cotton Blend Clothing Length:Regular Pattern Type:Character Decoration:Pattern Sleeve length:Long Sleeve Style:Fashion Collar:O-Collar Occasion:Casual,Daily Both hand wash and machine wash is OK Package include: 1Pc Romper Please note that slight color difference should be acceptable due to the light and screen.